The Best of 2013 photo contest is underway on the Michigan is Amazing facebook fan page. There are 49 amazing photos to enjoy from many talented photographers from all over this beautiful state. Check out the album and vote for your favorites! 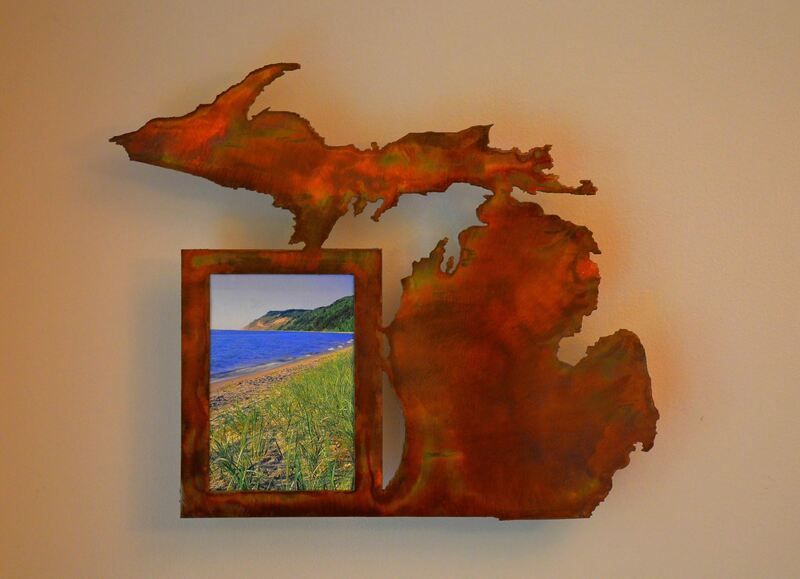 The winner will receive a beautiful Michigan-themed picture frame made by Scott Snow from Michigan in Metal! There are 5 Amazing photos in this week’s photo contest! Check it out and vote for your favorite! The Michigan is Amazing Facebook fan page has a great fan base with many great photographers that share photos from all over the state. There are so many great photos that have been submitted throughout the year that yesterday I opened a Best of 2011 photo contest. There are over 50 amazing photos of this great state in the contest, but there really could have been hundreds of photos included! If you haven’t already, visit the fan page and browse through the amazing photos from all over Michigan. Voting will be open through Friday, January 13. The winner of the photo contest will receive a Michigan-themed picture frame from a very talented Michigan artist, Scott Snow of Michigan in Metal.